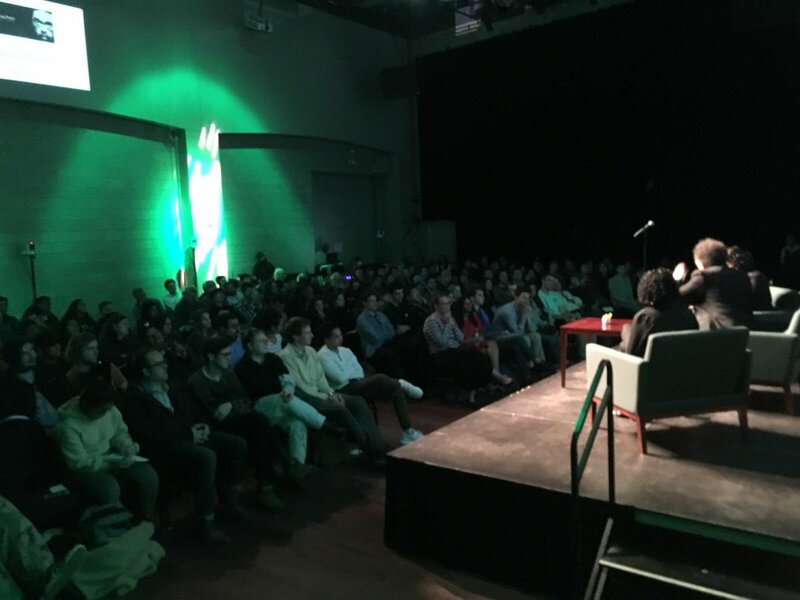 West discussed hard-hitting topics ranging from the government shutdown to sustainability, as well as light-hearted subjects like rap and soul music and social media. Social movements like Black Lives Matter and the #MeToo movement uplifted West in what he described as the current “dysfunctional and polarized” political climate. “I’m especially encouraged by the young people, but their biggest challenge is always going to be, ‘What is the moral content of your movement?’” West said regarding youth activists spearheading social movements today. When he taught as a professor of African American studies at his alma mater, Harvard University, West said he told his Black students that fighting white supremacy is a conscious, daily effort, and that he struggled with “deposits of white supremacy” in his mind every day. According to West, the largest problem facing modern society is whether or not the planet will exist in the future. He also said being able to understand other individuals, especially those who have been systematically oppressed, is the foundation of quality political engagement. Hosted by the Cross Cultural Centers and the Office of University Diversity and Inclusion (OUDI), the free event honored the late Martin Luther King Jr. and celebrated Cal Poly’s diverse campus community, according to an email sent by Vice President for Diversity and Inclusion Jozi De Leon and Assistant Dean of Students and Director of the Cross Cultural Centers Bryan Hubain. Psychology senior Erin Regan said the hour she spent listening to West speak was an hour well spent. “He brought up a lot of practical, actionable things. At big talks, you expect to hear some message about changing the world, but [West] always brought it back to love and the individual,” Regan said. San Luis Obispo native Michelle Arata said she celebrated her birthday and commemorated the legacy of Martin Luther King Jr. by attending West’s fireside chat. West’s message of being a “love warrior” was Arata’s biggest takeaway. “He reinforced my mission of finding commonalities with people whom I don’t always agree with and showing love to people whom I don’t necessarily like, because that’s how you create change,” Arata said. “We are honored to welcome Dr. West to our campus for this amazing event,” Vice President for Student Affairs Keith Humphrey said in a press release. 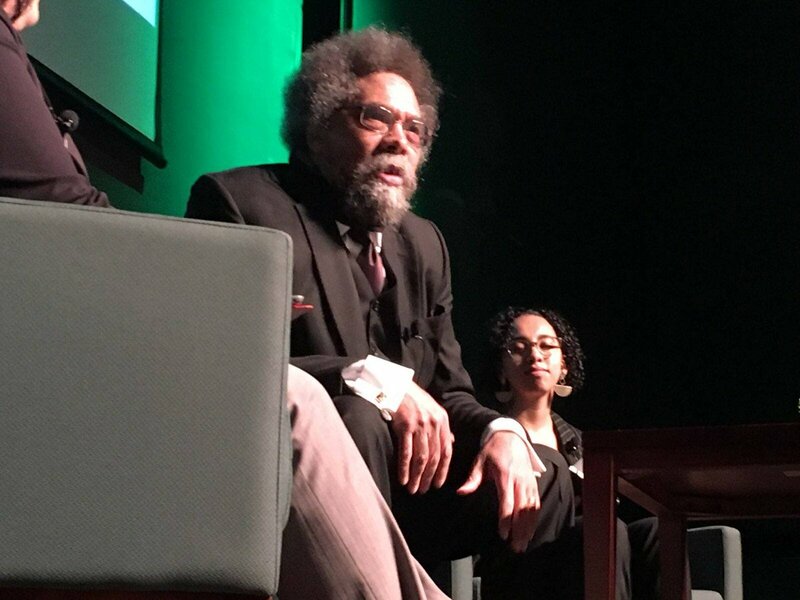 West met with several other groups on campus during his Jan. 16 visit and headlined the second annual Cal Poly Martin Luther King Jr. Dinner after the fireside chat. OUDI partnered with Williams and will introduce details of Cal Poly’s Transformative Inclusive Excellence Initiative the following week, Jan. 24 through 25, according to a campus-wide email from President Jeffrey Armstrong. The event will take place Jan. 24 at 12 p.m. in Alex and Faye Spanos Theatre. Transformative Inclusive Excellence Initiative is intended to advance efforts of the Collective Impact process, a current approach of advancing diversity and inclusion at Cal Poly through initiatives and collaboration between multiple campus organizations, according to a campus-wide email from Armstrong. The initiative does not substitute the Collective Impact process, but will assist in tracking development being made and directing Cal Poly into the next step in improving diversity and inclusion on campus. Bianka Pantoja contributed to this story.